LUCILLE REITER KING was born March 14, 1969 in Houston, Texas. In 1991, she graduated with honors from Texas A&M University with a Bachelor of Science in Psychology. She attended law school at the University of Houston Law Center, graduating in 1994. Since becoming licensed in Texas in 1994, Lucille has practiced law in Houston, focusing on the defense of medical malpractice cases. 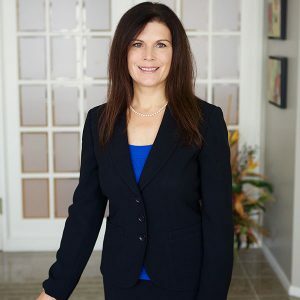 Her practice has included defense of personal injury and commercial cases, and she also has extensive appellate experience. She is admitted to practice law in Texas, as well as in the United States District Court for the Southern District of Texas and the United States District Court for the Northern District of Texas. Lucille is a member of the Houston Bar Association, State Bar of Texas, Greater Houston Society of Healthcare Risk Management, and American Society for Healthcare Risk Management. Lucille’s personal interests include spending time with her family, reading and community service.